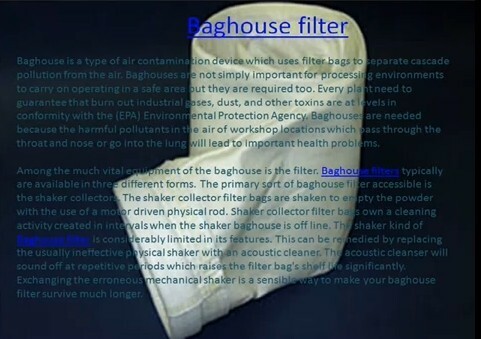 A baghouse filter is an air pollution control device, highly effective (up to 99%) regardless of particle size or load. Dust enters the baghouse through inlets on the hoppers and as the filter media cakes with dust it further impedes dust from passing through the filter. 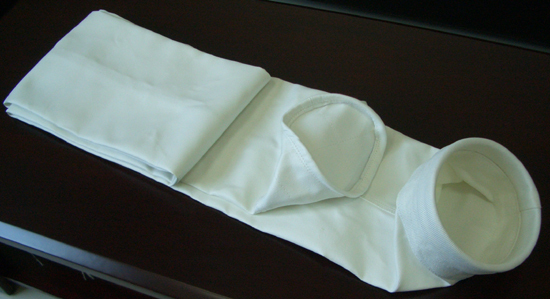 Filter bags are connected to a cell plate on the bottom of the baghouse and are suspended from an adjustable hanger frame on top. The gas stream enters the baghouse and passes through the filter bags from the bottom and leave from and outlet port on top. 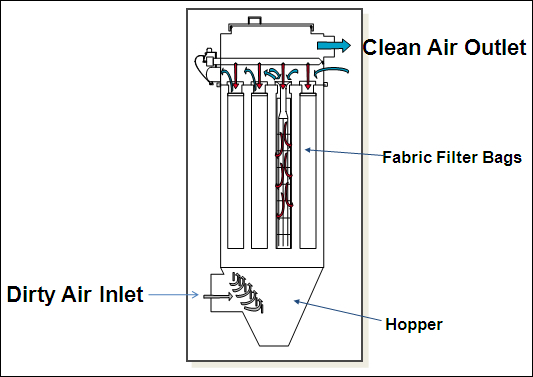 The cleaning cycle starts with injecting clean air into the collector in the reverse direction causing the compartment to become pressurized. The pressure results in the bags collapsing causing the cake dust to crack and fall to hopper below to be collected. 1. "Dust Collection Systems." Baghousecom RSS. N.p., n.d. Web. 22 Dec. 2012. .